Predictive analytics is the term used to describe using data to make highly informed guesses about future outcomes. Let's explore the technique and see the benefits. 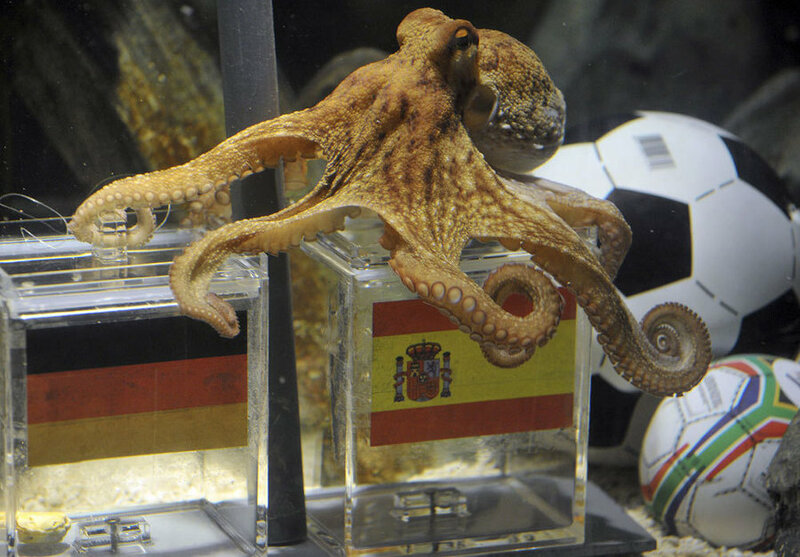 During the 2010 FIFA World Cup, soccer fans around the world were absolutely captivated — by a German octopus. Paul, as he became known, correctly predicted the outcomes of all the games that the German national team played in and correctly predicted Spain would win the entire tournament. He was heralded as a soothsayer, an oracle, a being somehow able to see into the future. The Spanish Prime Minister even offered him state protection! But Paul was just an octopus picking flags on a whim. It was just luck — nobody can predict the future, right? Well, an octopus probably can't, even if Paul gave it one heck of a run. But the odds that your business could might be higher than you think. That's in large part due to the huge amount of data that businesses are now privy to, and the tools we have available to analyze it. These ideas are encompassed by the term predictive analytics, and it's what we'll talk about today. How do they work? What types of prediction can your business expect? And how do you get the right data to make good predictions? While Paul may keep his mystical secrets, the answers to all these questions are yours for the taking. Simply put, predictive analytics is using data to make highly informed guesses about future outcomes. For businesses, the most common application of this is in user behavior. By observing what past users have done, you should be able to better understand what future users will do. Businesses use this to shape users' paths to increase predictability. Good data collection from all parts of your business at all times. This forms the groundwork of success with predictive analytics. There's no reason why any company can't start utilizing their data in order to make predictive analytics work for them, and most companies will have some — if not all — of these systems set up already. But whether you're all set up or just starting out, you probably aren't fulfilling your predictive analytic potential. For example, how are you using your identity management (IAM) to help with predictive modeling? Are you using it at all? If you really want to get serious about your predictive capability, then you can't overlook it as a powerful avenue for predictive analytics. How Does IAM Contribute to Predictive Analytics? There are a number of ways that IAM can contribute to predictive analytics, but one of the biggest and most underutilized is gathering information with your identity management system. Login can give you a window into who your users are, what they're doing, when they're doing it and how often. These are all important factors when figuring out user behavior, especially number of logins, behavioral data which shows how engaged a user is with you. Gathering social data by requesting access to all of the preferences and information stored in a user's social platform of choice if they're using social login. Customizing profiles by automating questions to be asked at login. When done properly, progressive profiling can give you the data you want about your customers without inconveniencing them or invading their privacy. Enabling demographic research by running your users through 3rd-party data APIs to get more information about them. With Auth0, you can automate this process by integrating APIs into profile creation with Rules, automated functions that trigger at login. If you want more data about, say, the professions, company sizes and professional roles of your users, for example, you could use Auth0 Rules to automatically run users' emails through Clearbit, an API that pulls professional information. All of these types of data can be directly funneled into predictive models. Remember that one of the key components to creating predictive analytics for your company is good data collection and another is a deep and unbiased understanding of your users. If you aren't utilizing your IAM to help you get both of these things, you're missing a huge opportunity and setting yourself back in the process. The potential of predictive analytics is huge, but it's a complex field that can be intimidating to unravel. Here are some of the easier ways to use predictive analytics — but keep in mind that even the simplest application will still require that rigorous back-end work to be successful. Our Tesco example was a hint at this, but one of the most predominant ways to utilize predictive analytics is marketing. This helps you tailor your marketing efforts to better sell to specific customers by looking at past data on what similar customers have bought or done.  A great example of tailoring your marketing efforts based on data is Geckoboard's system for qualifying leads. They realized that their template for their “ideal customer” was leaving out the majority of the leads they were generating, leaving marketing with a soup of people to manually sort through. This system was developed based on a combination of user behavior and good data that they automated into their system through the Clearbit API. These tactics are obviously not limited to discounts or leads — they could be different email copy, coupons, or ads that speak to the likely purchases, desires and vulnerabilities of a given consumer. Predictive analytics can lead to better sales projections because you are making a more concerted effort to collect data on customers and use it to predict outcomes. One of the best examples of this is anomaly detection, a security measure that flags unusual behaviors to keep users safe. For example, Auth0 offers brute force protection, which allows you to trigger security measures if someone makes too many attempts on a login. This type of security relies on regular user behavior — like not trying to sign in to their account 20 times in a row — and uses it to help keep users safe. You've probably been the beneficiary of protection based on your behavior without even realizing it. An email that says, “we got a login from a new computer or location — is this you?” is another type of identity protection that relies on predicting user behaviors. 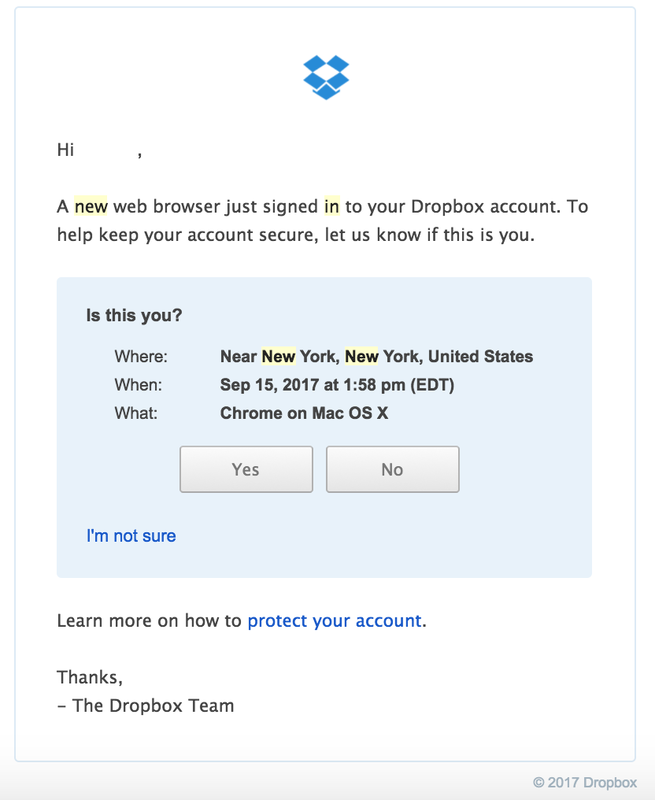 A security email from Dropbox notes what location, time, web browser and computer are used in a login attempt that doesn't match a users' predicted (i.e. previous) behavior. With an IAM system like Auth0, turning on security features like brute force protection is as simple as choosing a couple of preset options, and should be a no-brainer to incorporate this type of predictive analytics technology into your business. Predictive analytics isn't a short-haul adventure. And when you start to see the power of what your data can do, you'll want to dive in with both feet. Yes, it takes time to collect good data, devise a pipeline for sorting through it, and find your correct predictive variables. That fact is probably not going to change anytime soon. You can make an easy start by getting your current software tools — like your IAM — to work for you.